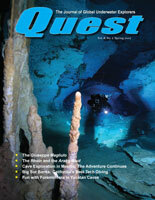 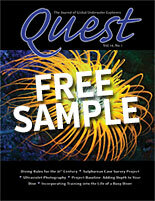 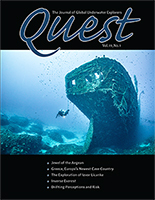 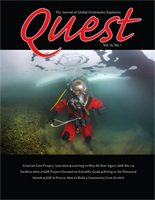 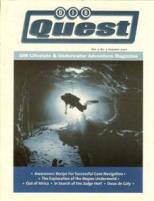 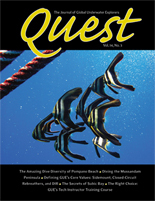 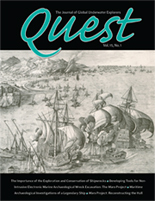 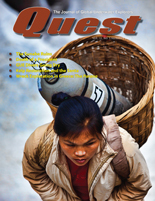 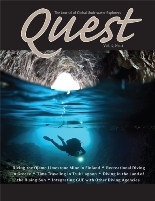 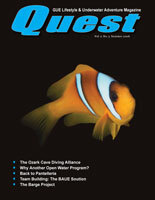 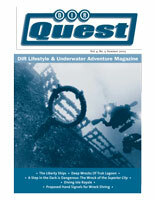 Quest is a quarterly magazine published by GUE that seeks to cultivate an understanding and appreciation of the underwater world and its component parts. 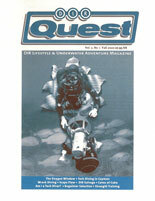 Quest's subject matter has something for everyone. 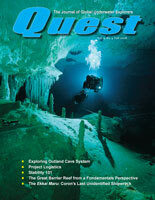 Every issue includes four departments: Equipment & Training, Environment, Ecology, and Exploration. 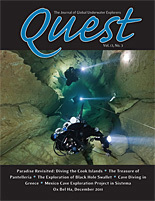 Rounding out each issue are five exciting feature articles covering a variety of subjects including accounts of wreck and cave exploration, exotic dive vacations, diver education, exercise and physiology, diverse aquatic environments and ecological considerations. 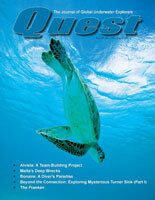 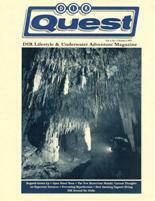 Quest's content is as diverse as our readership, featuring authors and subjects from all over the globe. 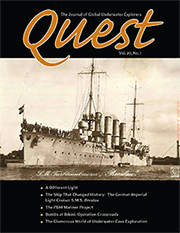 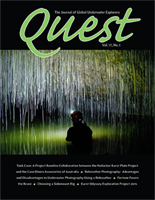 Quest is available online in PDF format to all GUE Members, and in a beautiful, full-color printed magazine to GUE Silver level and higher members. 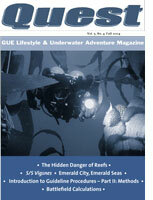 If you would like to become a member of GUE and have access to Quest, please visit our Membership section. 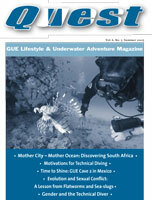 If you are not yet a GUE Member but you are interested in exploring what Quest has to offer, please check out our free sample issue (Volume 14, #1, published in February 2013) by clicking on the image to the left. 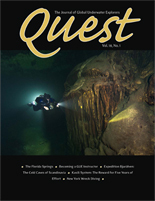 You can download the electronic version of the entire issue, including nine articles and lots of gorgeous high-resolution photos.